Should you worry about Bitcoin’s volatility? All currencies grow and shrink in value. Some days they gain strength, and you become richer. Other days they lose strength, and you become poorer. Financial markets are the lungs of the economy: they expand and contract regularly. Top up your prepaid mobile phone instantly with Bitrefill Accounts. The Bitcoin market is not regular. As Bloomberg reported, cryptocurrencies have “lost about a third of [their] market value since peaking in early June.” In fact, Bitcoin grew by 203% from January 1 to June 11, shrank by 36% from June 11 to July 16 and recovered by 42% from July 16 to 23. That is not breathing; that is taking gulps of air. So, is the Bitcoin market dangerous? No. Bitcoin is a brand-new currency, so financial markets are hypersensitive to it. Any good news excites them, and its value increases quickly. Any bad news scares them, and its value decreases just as quickly. But the fact that they are responding so passionately is a good sign because it means that they evaluate Bitcoin seriously. As long as you are comfortable with the possibility that the value of your Bitcoin may increase or decrease quickly, you should not fear the market. Danger lies in the promise of becoming rich through Bitcoin. If anybody guarantees that you will become rich by investing in Bitcoin, be careful! It could happen; it could not happen. What is certain is that nobody can predict the future. Be cautious of these people; they may be crooks. So, how do you ensure that your Bitcoin does not lose value and that you do not become the victim of a scam? You could purchase a good or service. 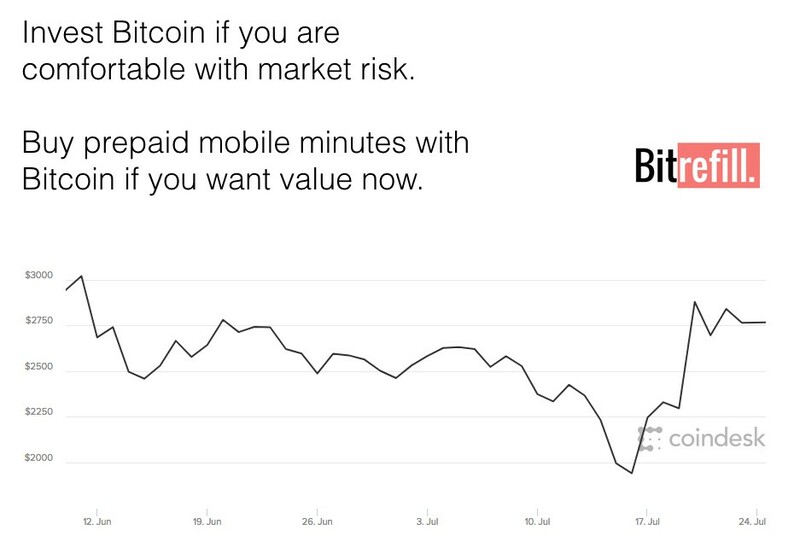 For example, we at Bitrefill enable people to top up prepaid mobile phones with Bitcoin. It is convenient: top up your mobile phone from any place at any time. Thousands of people in 150 countries have used our service to do just that. And more companies are accepting Bitcoin every day. Paying for a good or service with Bitcoin ensures that you receive value from it — that its value does not disappear in the volatility of financial markets or the pockets of fraudsters. In the end, you decide how to use your Bitcoin. But please, understand that financial markets are unstable, and beware anybody who guarantees to make you rich. Instead, it may be wise to buy a good or service from Bitrefill or another company that accepts Bitcoin.